Now, if saving the electricity generated by sunshine were as easy as catching rainwater in a barrel, then renewable energy production would be a lot more appealing for the masses. I think about this every time I take a tour of a high-tech, low-energy-consumption home. As I walk through the rooms, I pretend what it would be like to actually live there. Where do you put the groceries? How much light is there over the kitchen sink? I wonder how I’d use the fancy stove to fix dinner, and where I’d put the ironing board in the laundry room. Where’s the switch for the bathroom exhaust fan? I also look at the energy-efficiency labels on the heating and air-conditioning system and the water heater. Then I focus on the rooftop solar panels—and that’s when I go into full investigator mode. How much electricity do those panels produce during the day? What happens on cloudy days or at night when the sun isn’t shining? On brilliantly sunny days, a solar array might produce more electricity than all the devices within the home need at the time. Being able to store that surplus quickly, safely, and simply, then withdrawing the electricity for use after sunset, would make sense. It’s easy enough to charge a cell phone’s tiny battery now and use it later—but developing a way to save larger quantities of electricity for a whole household has been a tough challenge. A key problem involves the chemistry inside conventional lithium-ion batteries. Because of their internal construction and the chemical reactions taking place within them, this kind of battery can go into “thermal runaway.” That’s a fancy term for uncontrolled heating that can destroy the battery or, even worse, cause it to catch on fire. When enlarging a lithium-ion battery to the size needed for a whole house, one solution is to include a cooling and ventilation system. That’s the route Tesla took when it announced its new Powerwall system early in 2015. Weighing 220 pounds, and about the size of a large television (roughly 51 inches tall, 34 inches wide, and 7 inches thick), the wall-mounted box includes a liquid thermal control system to prevent over-heating. The Powerwall device can store electricity from solar panels, then release it later to provide power to operate kitchen and laundry room appliances, heating and cooling systems, even TVs. The list price of $3,000 does not include professional installation by a trained electrician, nor does it include the cost of the required inverter for use with solar panels. During the September 2015 Solar Power International showcase in Anaheim, California, another company, SimpliPhi Power Inc., introduced a different technology. According to their advertising materials, their home energy storage battery uses a different combination of chemicals (lithium-ion iron phosphate, no cobalt) that is nontoxic, lightweight, and does not require a costly and bulky heat reduction system. Yet another company, Orison, is looking for investors to launch production of a third style of home energy storage system that it describes as a “plug and play” device that does not require professional installation. And there are a host of other innovative companies trying to take their latest battery breakthroughs to the adoption stage. 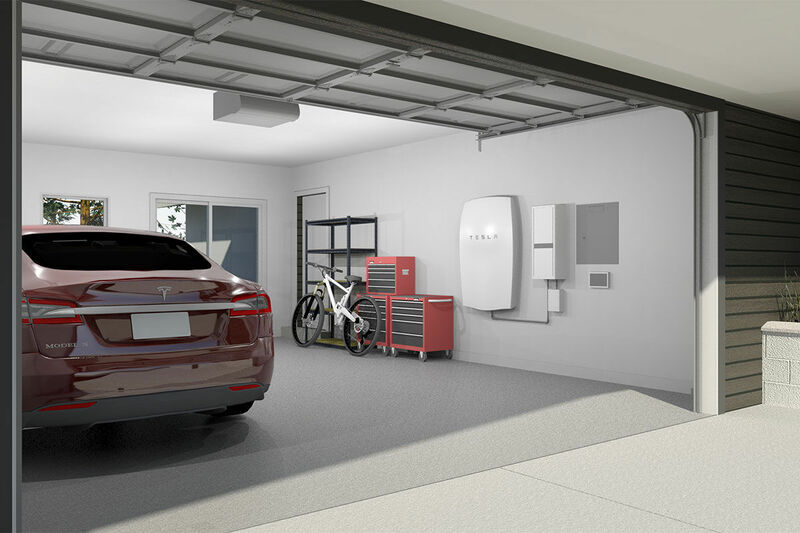 Tesla’s Powerwall system can be configured to function with or without the conventional power grid. With the proper disconnects for safety reasons, the Powerwall device can provide household electricity during a grid outage. In that situation, it becomes a backup device. But the Powerwall can also store electricity coming from the grid. That can be important in two situations. In areas with time-of-day pricing structures for electricity, it might be smart to store electricity from the grid in the device when power is cheap, then use it later when power directly from the grid would be very expensive. It could also help when electricity from wind turbines is flowing into the grid in large quantities at times when there is not much demand for power. The device could store the surplus, then release it as needed after the wind stops blowing. 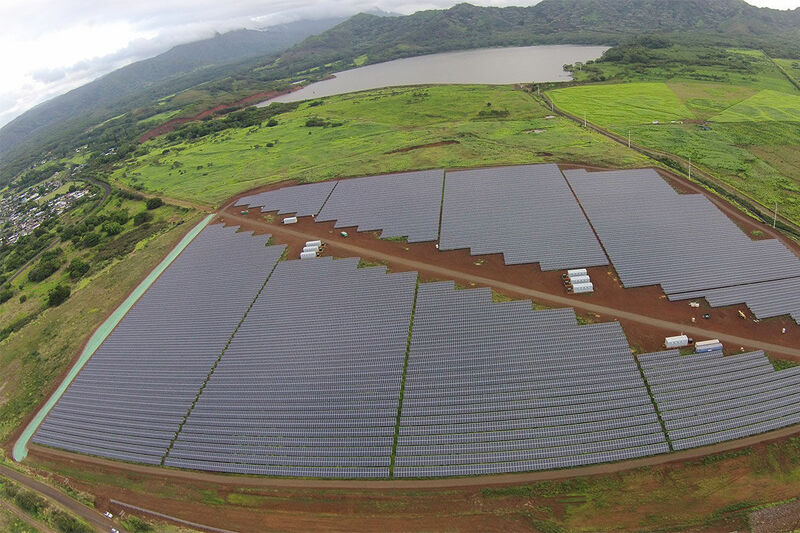 In September 2015, Kauai Island Utility Cooperative (KIUC), Hawaii’s only member-owned electric utility, announced a plan to make use of the first utility-scale solar array and battery storage system designed to supply power to the grid in the evening, when demand is highest. The project is believed to be the first utility-scale system in the U.S. to provide dispatchable solar energy, meaning that the utility can count on electricity being available when it’s needed, even hours after the sun goes down.